The Reba Tribute last performed in Branson in 2013 and is currently unavailable. 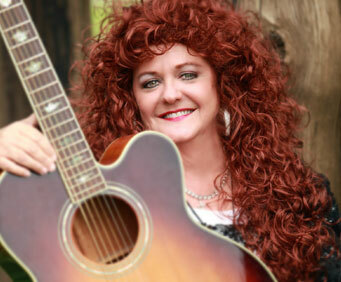 Audiences will be amazed by the uncanny performance of Susie Crooke as she transforms into the Queen of Country Music, Reba McEntire! Susie Crooke began singing solos at a very early age for her church, delighting her family and friends throughout childhood with her beautiful vocals and musical talents. On Sunday afternoons while sitting on her Grandmother’s front porch, Susie would sing for her relatives, and her uncles would encourage her to sing by throwing her their pocket change. Earning her Bachelor of Arts in music performance and education, Susie has spent her years teaching and performing music. In her earlier career, Susie toured with Elvis impersonator Tony McGill as the warm-up act and has graced the infamous stages of Las Vegas, Palm Beach, and Destin, Florida! In Nashville, Susie recorded her album “A Tribute to the Ladies of Country,” which was produced by country music’s first Grammy-winning producer, the late Larry Butler. In honor of the Queen of Country, Susie is paying tribute to this beloved artist and humanitarian. Her brilliant portrayal as Reba McEntire will have you convinced you are sitting right in front of country music’s red-haired darling! Country music lovers and Reba fans alike will love this performance as it pays homage to a country music superstar!